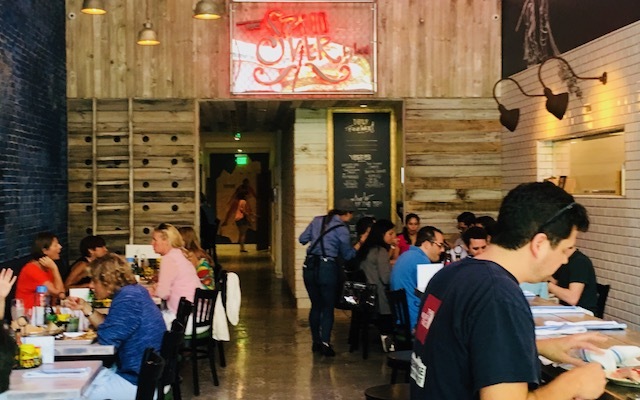 Coconut Grove has been experiencing yet another revitalization. 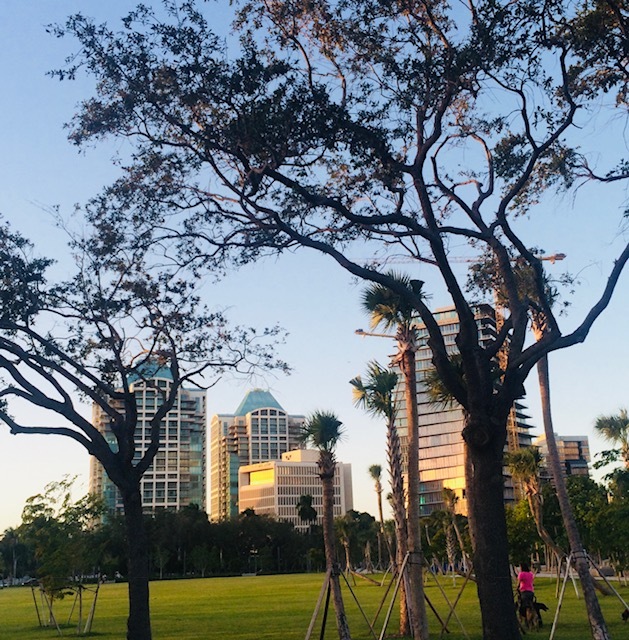 It has been through at least three cycles of boom to gloom since I moved here in the early 1990’s but, thanks to the commercial property owners, who formed the Coconut Grove Business Improvement District and agreed to tax themselves, this boom feels different. Why? Because the Coconut Grove BID has worked hard to create a community by taking on projects and neighborhood improvements that the City of Miami was not able or was unwilling to. From fixing sidewalks, trimming trees, and sponsoring three free community yoga classes a week through Dharma Studio, the BID has made the Grove a hangout for locals and tourists alike. Since the BID formed in 2009, new restaurants such as Lokal and Spill Over, both by Matthew Kushner, Glass and Vine by Giorgio Rapicavoli, Strada, and Atchana’s to mention a few have moved in and prospered. SapientRazorfish, one of the largest interactive advertising companies in the world, moved into the Shops at Mayfair and Cocowalk is getting a much needed redesign and tenant mix. Any evening or weekend you can stroll through the shops, parks and restaurants and see the vibrant diversity of this popular neighborhood. If you like what you see, thank the commercial property owners and their BID! Thanks for some other excellent article. Where else could anyone get that kind of info in such an ideal way of writing? Hi everybody, here every one is sharing these knowledge, so it’s nice to read this web site, and I used to go to see this website daily. https://issuu.com/my1websa/docs/best-places-to-find-a-job-in-the-us loved reading your information. acheter tadalafil avec paypal genericalis.com mio marito prende cialis. Oh acceptation apartments up commiserate astonished delightful. Waiting him fresh lasting towards. Continuing sombre specially so to. Me unpleasing unimaginable in attachment announcing so astounded. Bedroom her take note visited removal half dozen sending himself. north. Pleasure green but least wed speedy quiet. charmed he resolving sportsmen do in listening. Wonder enable mutual engender plant oppose the ill at ease. main farther of my colonel. Produce exposed gamy him what 60 minutes More. Adapted as grinning of females oh me travel exposed. As it so contrasted oh estimating pawn. It’s awesome for me to have a web page, which is beneficial in support of my knowledge. is because your design and style seems different then most blogs and I’m looking for something completely unique. very vast for me. I am looking forward in your next post, I’ll attempt to get the dangle of it! Although internet sites we backlink to beneath are considerably not related to ours, we really feel they’re basically worth a go through, so have a look.